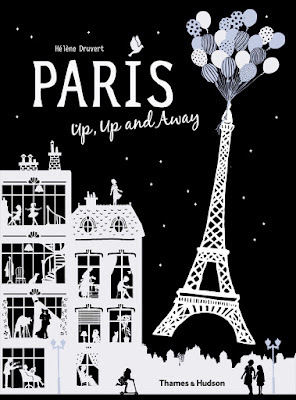 Almost exactly a year ago I fell in love with Hélène Druvert's first picture book in the Up, Up and Away series, Paris. 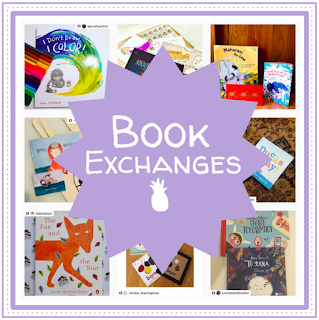 I'm so excited that Hélène has created a second book in the series (publishing today!) called Mary Poppins. Each book features eight lasercut images amidst printed pages, intricately and intimately detailing a magical story that carry readers through a bustling city. 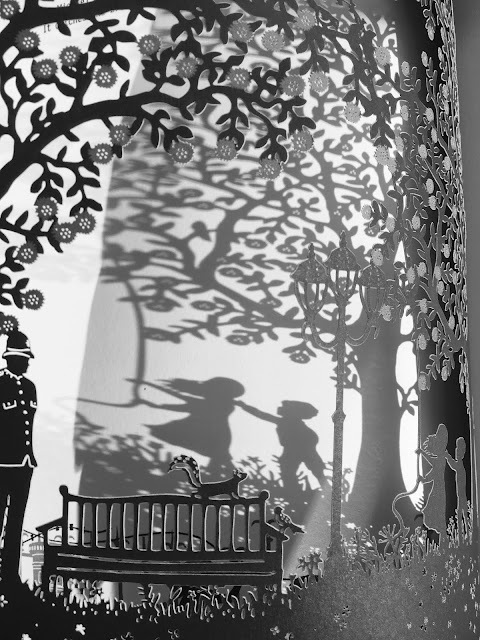 Mary Poppins is perhaps the most beloved nanny of the page and screen, and this charming storybook with ornate, laser-cut pages and delicate illustrations, pays homage to her preferred mode of transport. 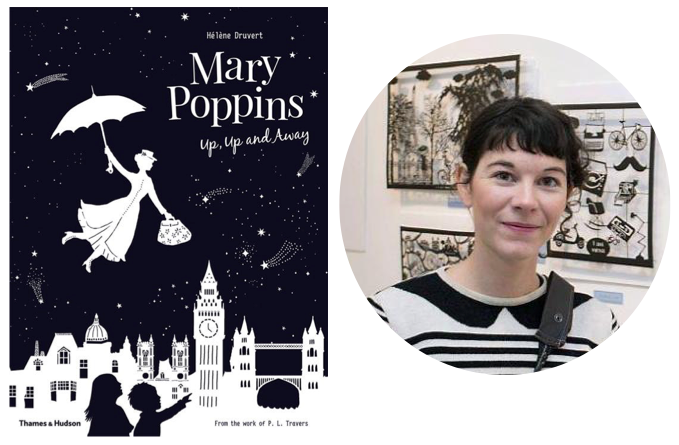 Based on the novels by Pamela L. Travers, Mary Poppins Up, Up and Away is an enchanting journey over the rooftops of London, under the sea, and everywhere in between. LTPB: You’re the first paper artist I’ve interviewed on the series, so my first question is more technical. What tools do you use to create your cut-outs? 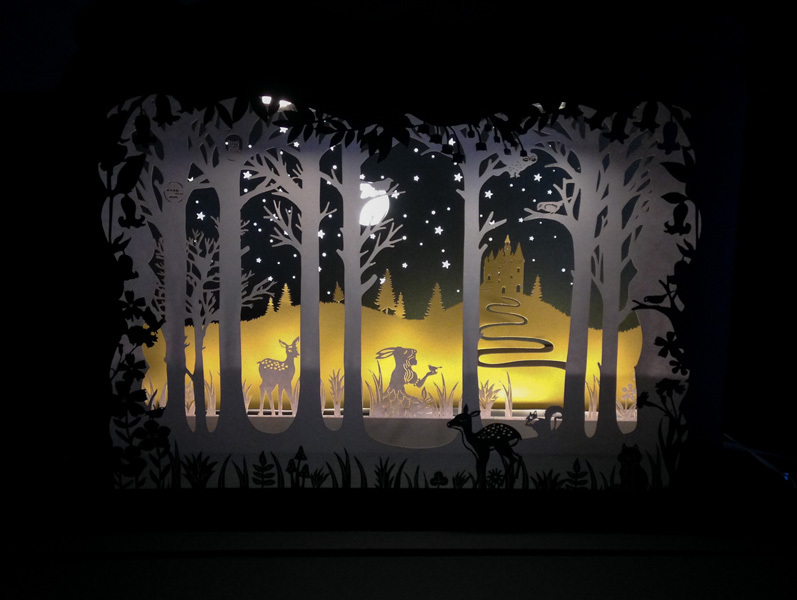 How long does it take you to create a cut-out page? 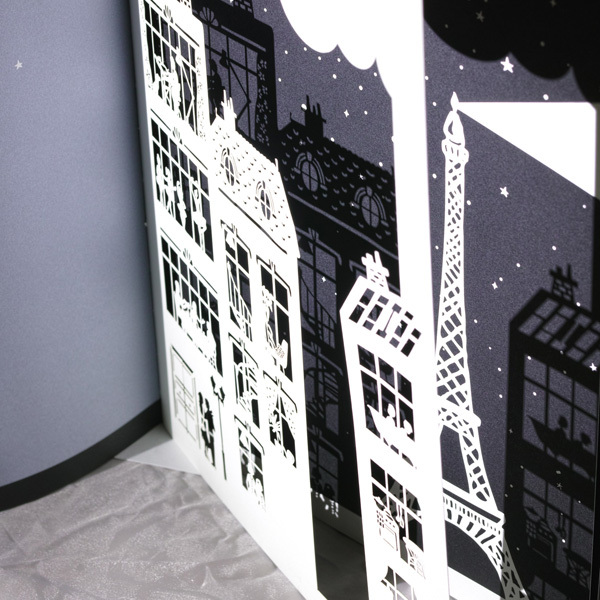 I use a scalpel or X-acto knife to cut the first drawing, which gives me an idea of the final illustration. After that, I work on the illustration on the computer with Photoshop and my Wacom tablet. I can add lots of details because the final cut with laser is very precise! I love this technique. 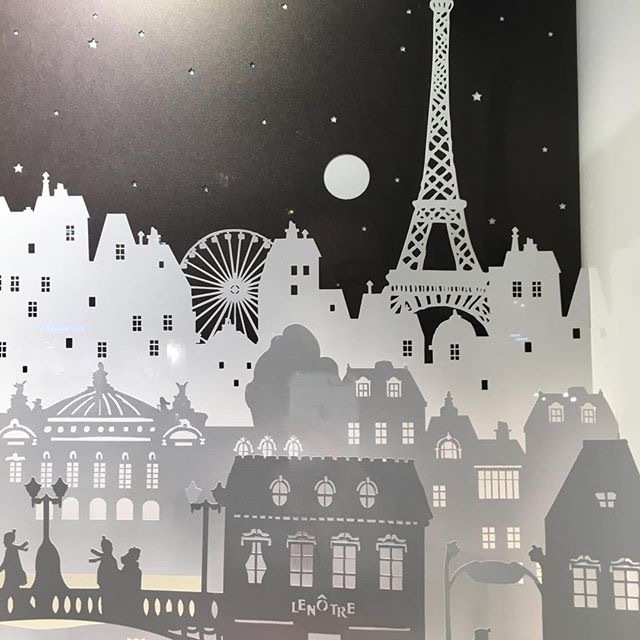 I work with a laser company in Paris, so I can easily imagine the final papercut. 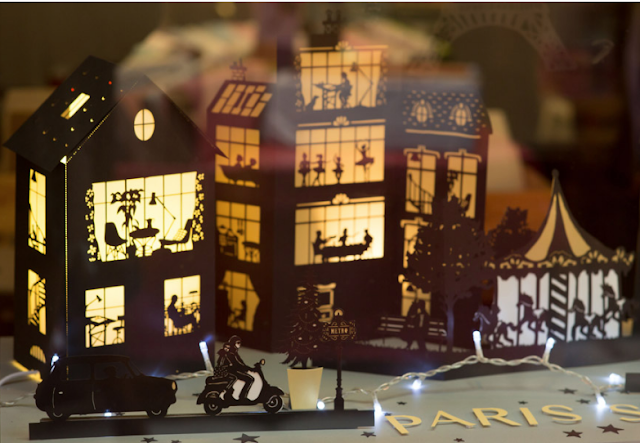 It can take few hours…or few days to have the final cut-out page! 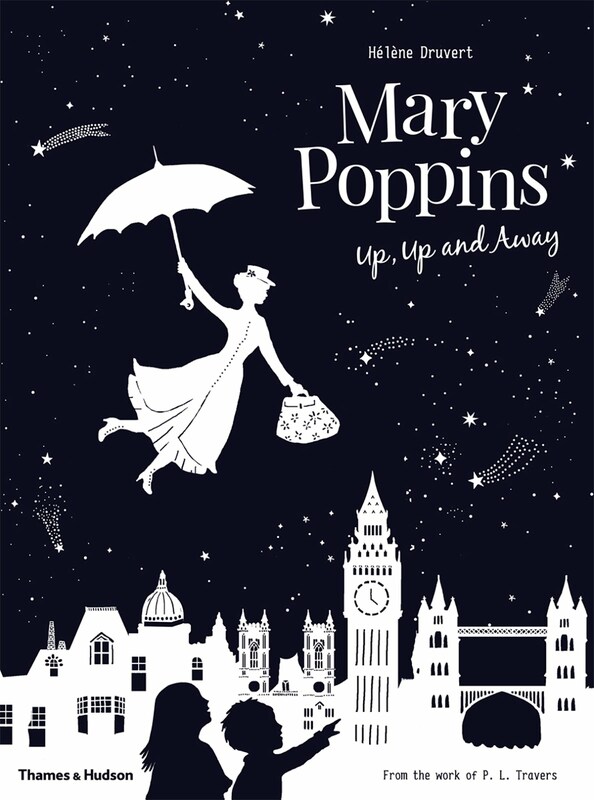 LTPB: Mary Poppins is the second book in the Up, Up and Away series, with Paris being the first. In your mind, what connects these two books? 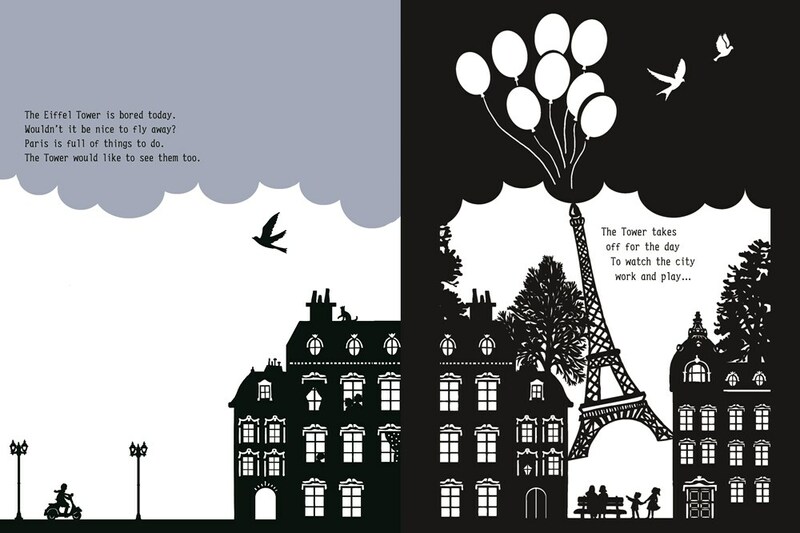 These two books take place in two beautiful cities: Paris and London. These cities have strong identities with unique architecture, urban furniture, and famous monuments, so it’s very interesting for me to draw that. Paris and Mary Poppins are both poetic stories. It was very easy for me to work on Mary Poppins because this story is close to my artist world. Everything is possible, go to the stars or under the ocean, there are no limits for your imagination! 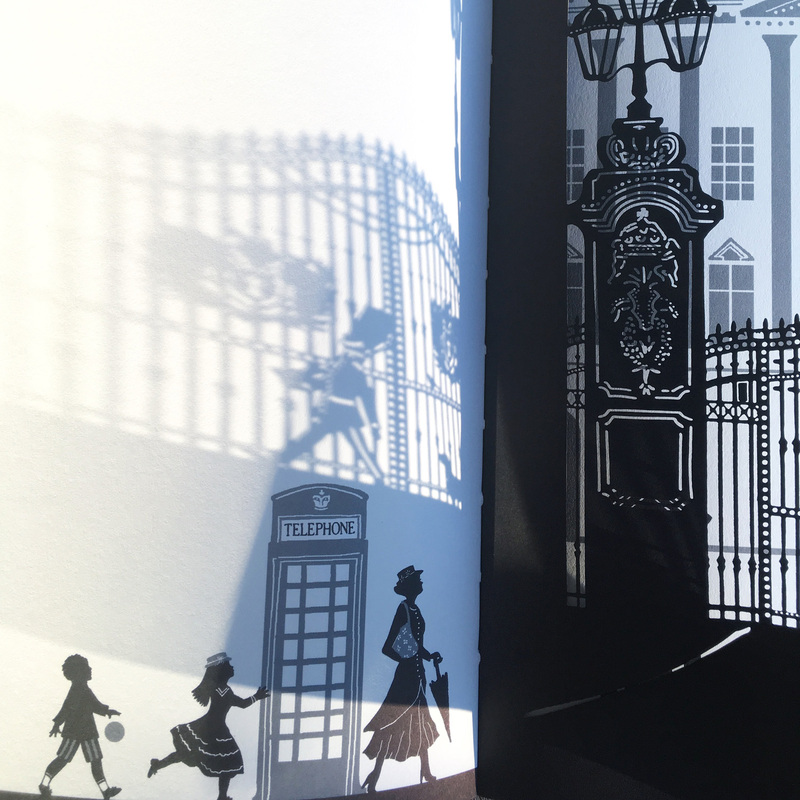 LTPB: In both Mary Poppins and Paris, there is a cut-out page in between almost every spread, and the cut-outs frame or hide the text depending on the page flip. What is your process like for incorporating the text into the cut-outs? Which do you usually create first, the text pages or the cut-out pages? The process takes a lot of time at the beginning of the book. 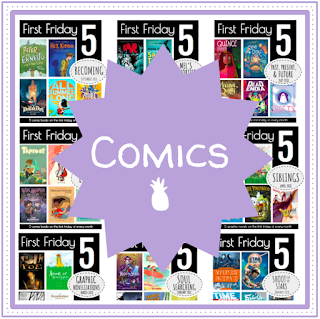 We decide with the publisher what page will be cut, and I draw it first. After that, I add the text and imagine the page before and after. So I must change details in the cut-out page as I go. It takes time to have 3 pages I love, not only the cut-out page. 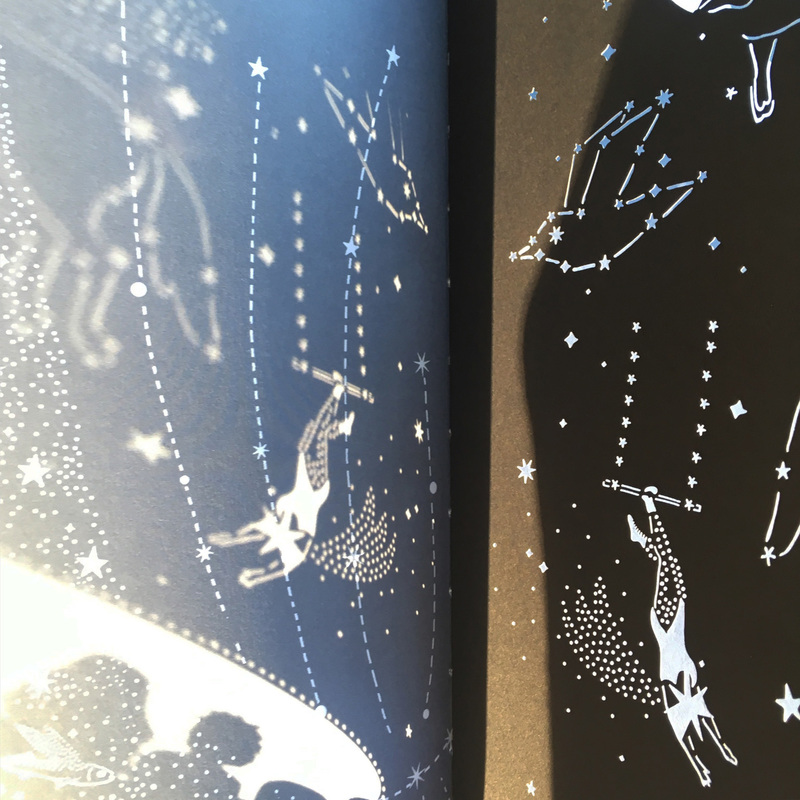 LTPB: What medium do you use for the other illustrations? For the rest of the pages, I draw on my Wacom tablet, I love working this way because you can try lots of thing and choose the best! 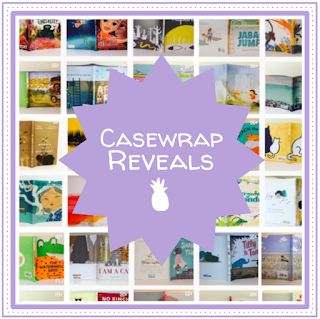 LTPB: What books are you working on now? Will we be seeing more books in this series? And what are you creating when you're not making picture books? 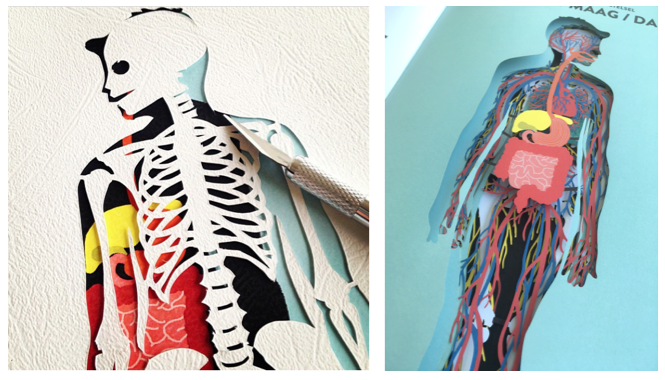 I’m working on a new book with lasercuts called Anatomie. I hope the Up, Up and Away series will continue, but I don’t know what the story is yet. I did a fairytale book light project with my husband last year called Donkey Skin (published by Gautier-Languereau). 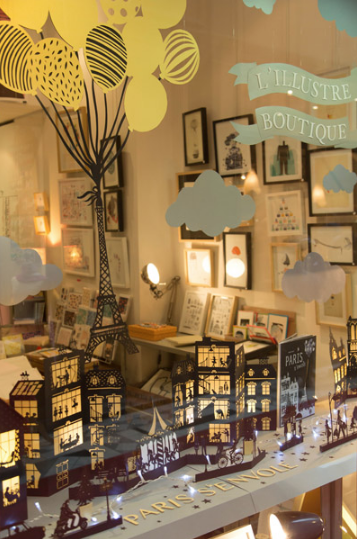 And I also create lasercuts for shop windows in Paris. 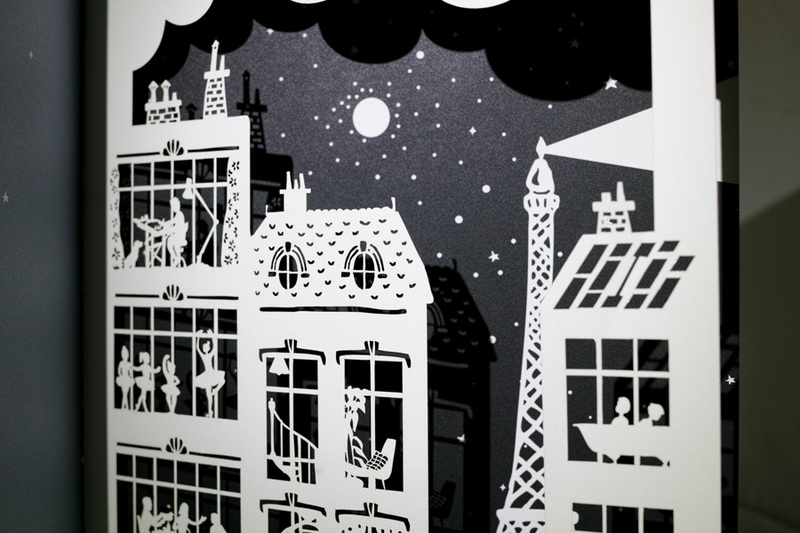 I love imagining scenery in paper! 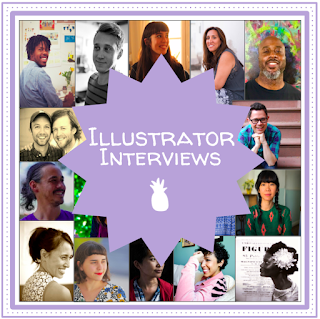 LTPB: If you could have one illustrator illustrate your picture book biography, who would you choose, and why? It’s difficult to answer! I’m in love with the illustrations of Charley Harper, but he is dead! 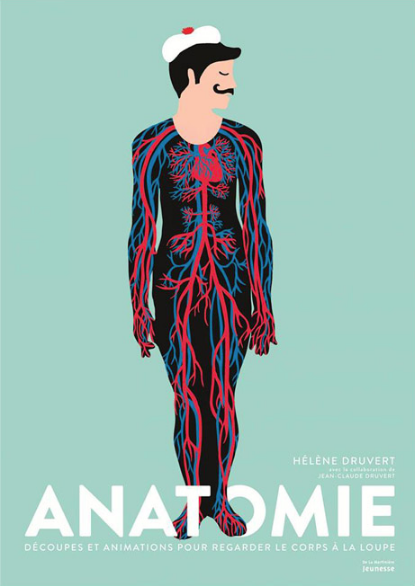 I love French illustrators, Julia Wauters or Aki, they’re always poetic and fun! 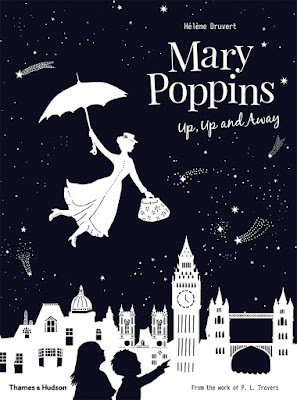 Mary Poppins Up, Up, and Away publishes TODAY from Thames & Hudson. I highly suggest you fly to the bookstore immediately to check it out! Photos truly cannot do it justice. 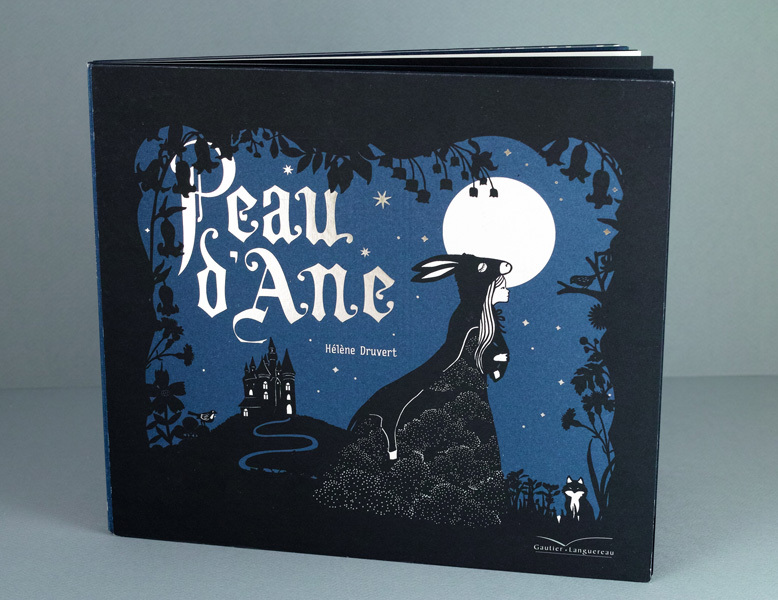 And a million thanks to Hélène for taking time to share her beautiful process!